The Pinellas county auto theft attorneys in our office are former state prosecutors and well experienced in defending clients who are charged with Grand Theft Auto Offenses. (Found in Florida Statutes section 812.014) If you are accused of stealing a car or your conduct was limited to “joy riding,” we are lawyers who can help. What are the Penalties for a Grand Theft Auto Charge in Florida? Third Degree Felony: if value of the vehicle stolen was less than $20,000.00 (Penalties include up to five years state prison and up to $5,000.00 fine). Second Degree Felony: if value of the vehicle stolen was greater than $20,000.00, but less than $100,000. (Penalties include up to fifteen years state prison and up to $10,000.00 fine). First Degree Felony: if value of the vehicle stolen was greater than $100,000.00. (Penalties include up to thirty years state prison and up to $25,000.00 fine). That you may be eligible for a pre-trial intervention diversion program which is designed to have the charge dismissed. You may be eligible for a withhold of adjudication that will prevent you from being a convicted felon. Your eligibility to have your criminal records sealed or expunged. Mitigating circumstances that your defense lawyer can use in an effort to avoid a formal conviction, have the charge changed to a lesser offense or to justify a more lenient sentence that does not entail a jail or prison sentence. Are Any of These Mitigating Factors Present in Your Grand Theft Auto case? You were the passenger and not the driver of the stolen vehicle. The keys to the vehicle had been left in the vehicle by the owner. When the vehicle was recovered, there was nothing to suggest that a window had been broken or force had been used to gain unlawful entry. 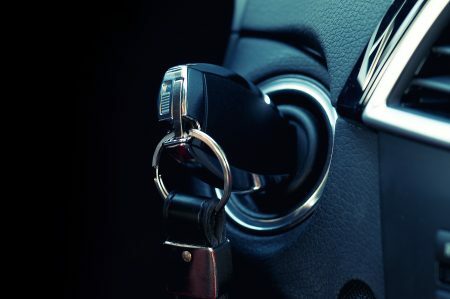 When the vehicle was recovered, there was no evidence to suggest that the electrical ignition switch had been “hot-wired,” the Megamos-chip had been compromised or that any ignition by-pass method had been employed to steal or transport the vehicle. The theft of the vehicle did not entail the use of a high tech OBD (Onboard Diagnostic Port cloning key kit) or an immobilizer simulator. You have not been accused of disabling the vehicle’s electric immobilizer or alarm system. You have not been accused of disabling an electronic tracking system in the car, such as LoJack or Onstar. You were not found to be in possession of a “slide hammer puller” which is used to break into door or cylinder locks. You were not found to be in possession of a “slim jim” which is typically used to slip between the car window and frame to unlock the vehicle. The vehicle was not part of a car collection. The owner of the vehicle did not attribute any special sentimental value to this particular vehicle. The vehicle was not stolen in furtherance of a criminal enterprise to disassemble it and sell the parts (i.e., for a “chop shop”). The vehicle was not used to facilitate the commission of another crime. Under Florida Statute Section 812.155 it is a felony to intentionally maintain possession of a rental car after the expiration of your rental agreement. Because this is a “specific intent” crime, there are times when poor communications or oversight can be raised as a defense to this crime. This charge is considered a crime of violence since it requires a showing that in the commission of the offense you used force, assault or threats to temporarily or permanently take possession of a motor vehicle from another person. (Florida Statute Section 812.133) Carjacking in Florida is a first degree felony punishable by up to thirty years in state prison and up to a $25,000.00 fine. Proving the identity of the perpetrator can sometimes be an issue for the prosecutor. There are greatly enhanced penalties, if it is proven that a firearm or other deadly weapon was used during the offense. These include a minimum four year state prison sentence, up to life imprisonment and a $25,000.00 fine. If you have been arrested in Clearwater, St. Petersburg or the surrounding areas of Pinellas County, our team of former state prosecutors can help. The consultation is free. Let us put our extensive background and experience to work for you. Call our office at (727) 578-0303 and speak to us today!